Are you having trouble attracting and retaining talent? Is your staff able to keep up with industry trends, new technologies and changing regulations? Do your employees have the business acumen needed to quickly analyze information and provide guidance? 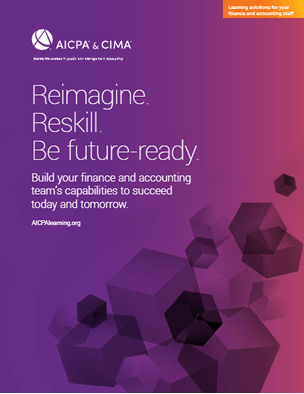 When you need to develop your staff, look first to the AICPA. We can identify gaps and develop custom learning plans to help you ensure competencies, expand capabilities, and increase your bottom line. Make sure your staff has the skills they need to help your organization succeed. Request a complimentary review of your learning plans. An AICPA study found that companies in the top-quartile for gender diversity on executive teams were 21% more likely to outperform on profitability. To support women in the industry, the AICPA holds an annual Women’s Global Leadership Summit. RSM US LLP has been a supporter of the conference since 2017. In fact, RSM devotes a full-time team exclusively to its culture, diversity and inclusion efforts. Read about RSM’s experience at the conference, best practices on diversity and inclusion and advice for women and firms. 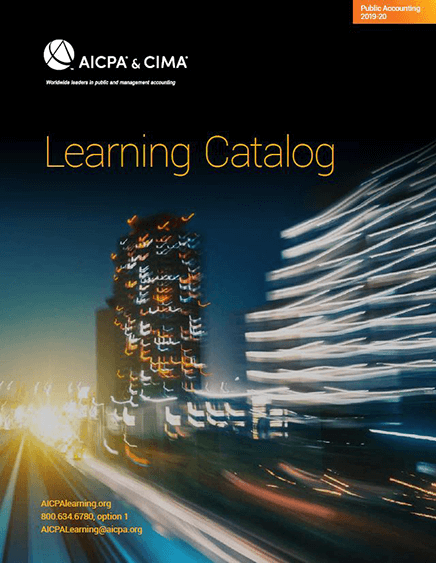 For more information on DEI learning programs for your organization, email aicpalearning@aicpa.org. In my job, I need trusted partners who understand the market — partners who seek, digest and re-purpose knowledge in a fashion that's useful to my audiences, no matter where they are in their careers. Ensure staff have the skills they need to meet your goals. These programs are based on competency models developed with industry experts. Choose individual courses, our suggested bundles or build your own. Develop better business leaders. Increase business acumen of your staff so they can add more value to the organization. These resources help build technical, business, interpersonal and leadership skills. In-person training for 10 or more participants, focused on your team at your location. In-person or online sessions offering trusted content from industry experts and networking opportunities. Led by experts via live video feed with dedicated time for Q&A. Learn at your own pace — from your desk, home or on the road. Enroll anytime with 24/7 access. Authoritative Guidance via online subscriptions with multi-user access. Create your own program. Reinforce group study with self-study courses. Get more with an annual subscription. Access 450+ on-demand courses with an annual subscription. Includes free quarterly updates. One- and two-hour courses fit busy schedules. Attend unlimited events from a library of 500+ webcasts. Includes hot topics and live Q&A with presenters. Receive CPE/CPD credit with zero tests to complete. Get unlimited access to a library of recorded webcasts and conference sessions and earn CPD credits. Your annual subscription includes monthly, hot topics and career skills. Contact a learning representative today.